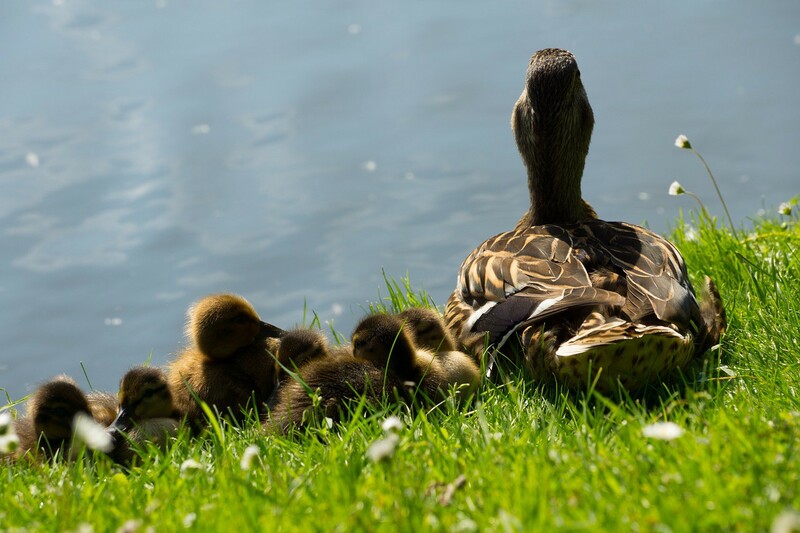 Babies cry when picked up by a stranger, a mother sits near her new born ducklings, shielding them from expected predatory threats, storm sirens warn everyone to run for cover, ambulance sirens wail at drivers to pull over and stop immediately. College students pull off all nighters worried about failure; employees have sleepless nights agonizing over tomorrow’s presentation. Organ recipients nervously await the right donor. Second graders fret they might strike out. Anxiety is a currency we all share — some of us own far more shares than others. Anxiety jockeys would tell all gamblers to beat the odds with win place show numbers on fatigue, irritability, nausea, sweating and trembling — sure bets that carry anxious persons across most finish lines. Our expectations are laced in anticipated threats of thoughts that may never convert into actual actions. Anxiety does not care what specifically materializes for it plans for all emergent and urgent scenarios, regardless if they’re far from critical or have a remote chance of occurring. The medical profession has catalogued and identified various levels of angst and anxiety. We use the word disorder to establish benchmarks for classification and degrees of seriousness. Medicines, therapies, support groups, mindfulness meditation practices, yoga, creative expression outlets provide structured opportunities to help manage anxiety disorder. Many of us incorporate holistic modalities into our daily routines to help us manage our varying degrees of normal, healthy anxiety. The simple call to action commanding hope, trust and prayer. Normal, healthy anxiety often manifests through procrastination and distraction — pathway markers that lead us down a different road toward achieving our goals. They motivate us to clean our homes, complete laundry, file receipts, run not-so-last-minute errands, pull weeds, complete anything that diverts our attention away from deadline-driven tasks we dread. We arrive at the end of those journeys with successful dual outcomes: an array of domestic duties checked off and a significant project completed. We are not oblivious that our busy-ness is driven by a smidge of guilt and our estimated time of delivery always occurs just in time; we never fail to deliver. Occasionally, we can mistake anxiety, wave it off as normal, when in fact it carries far greater consequences. At age 13 my daughter had been playing my saxophone for two years. She enrolled in summer school lessons to improve her audition skills for admittance into fall middle school Honors Band. Her instructor, elated with my daughter’s breakthrough progress, predicted easy access. Both my daughter’s happiness and confidence soared that summer. Abrupt halt; she came home sobbing, heartbroken when she failed auditions. Middle school aged friends make it even tougher when you’re on the outside looking in. Relentless teasing ensued. My daughter insisted on quitting. Determined to teach her life skills about perseverance and best efforts, I refused. I made an appointment with the band instructor the next morning. He explained to us that not all 7th grade students could play in Honors Band; you had to be the best of the best. He offered the merits of mentoring fifth and sixth grade students and noted the lack of saxophone players in the lower grades. Encouraging her to keep practicing, she could re-audition mid-year. I left feeling accomplished with an equitable win. My daughter felt entirely differently; I assumed she would get over it. She didn’t. Each week she came home on band days with horror stories of humiliation, begging to quit, stressed out from taunts of being in the ‘little kids loser band’. The more she begged, the more I dug in, convinced of my belief that kids excelled better in life if they played a musical instrument. She hated band and that saxophone; complete joy suckers! I watched her behavior and attitude change and wondered if that angst, anger and hatred for band would transfer into my lap. The closer the date of the holiday school concert, the more she begged to quit. Worried about her health and well-being, I finally cut her a deal. She would play at the holiday concert since family was attending and audition. We would renegotiate after. Her moodiness and anxiety filled our entire home prior to the concert. Frankly, I was over the band drama trauma; my patience with her snarly behavior and emotional outbursts wasn’t’ garnering any patience awards. We attend the concert. ‘Loser Band’ was first up, followed by the Honors Band. Out they come. If my daughter and another student didn’t tower over the other kids, I wouldn’t have recognized her amongst this small ensemble. Embarrassed, she bowed her head so low you could only see hair draping over her chest. Forced to look up to read her music, she never smiled. All life was drained out of her. My daughter had and continues to have a million dollar smile. Devastated, I review the program; she is one of only two seventh graders in this small band on stage. I am shocked. As she departs, I could feel her tears pouring out of my heart. Out comes the Honors Band, the stage crowded with musicians. Are you kidding me? This is the esteemed, selectively chosen, best of the best Honors Band? Every seventh and eighth grade band student, except my daughter and her ‘Loser Band’ cohort, plays in this band. I know from my daughter’s summer instructor her talent and skill level is on par with other students. Livid and heartsick for my daughter, I finally ‘get’ it — after a tremendous expense to her. While I tried to normalize her anxiety for three months, there was no acceptable degree of normal for her, a sensitive adolescent — the delicate age when triggers can quickly become full-blown disorders. On the drive home, I told her she could do whatever she wanted related to band. While relieved she was finally heard and understood, she was angry at my ‘day late and a dollar short’ sense of timing, her humiliation had now been publicly witnessed. The next day she quit. I made an appointment with the Principal who deferred me to his Assistant Principal. Really? I need action not assistance. I listened to the audition-competition standards, not every athlete gets to play, many are benched, we must teach our children to excel by facing hard knocks in early life and the limited stage space stories. Cut to the chase: No, your band teacher used my daughter and another because he needed more elementary sax players. Surely you could find room to squeeze two more chairs on that stage. Did they have any clue what this decision and the accompanying bullying/teasing did to my daughter’s self esteem, increased level of anxiety and stress or her desire to participate in music? The arts school lost out on upholding its artistic teaching values and my daughter lost out on learning how to cultivate and sustain her desire to play a musical instrument. The following year, however, Honors Band was restructured. No middle school student was forced to join elementary student band. A loss for my daughter, a win for future students and a significant learning moment for mom and administration. Sometimes when we think we’re dealing with normal, healthy, daily snippets of anxiety, it’s not how it appears. Our anxiety may serve as a wake up call to conduct further research, make astute decisions, take swift action or remove ourselves entirely. We forget these options exist. We tell ourselves we’re taking the easy way out, we’re wrong, it’s part of our learning, it’s not that big of a deal, others know better or we’re stuck in a belief system that’s not real. What if it is real? Know your anxiety. How does it play — allegretto or andante? Pick a new aria; find a new band and a conductor who will uplift you to a greater place of rhythmic ease, where the music appreciates your presence, how you keep time, no matter how or where you play. So…what are YOU anxious about?